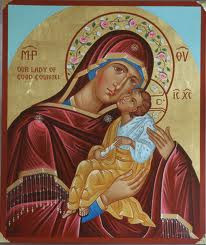 Marianist Brothers and priests are men dedicated in a particular way to a woman: Mary the mother of Jesus. We believe Mary’s mission—bringing Christ into the world—is ongoing and that we take part in it today. Our relationship with Mary, then, is apostolic. Her role as mother and disciple of Jesus is an abiding mystery for us, and it shapes our way of living and ministering in the Church. Each day Marianist brothers and priests say a prayer of dedication, linked to our vow of stability. It’s an expressed dedication to Mary as a woman of faith and bearer of Christ. It’s a commitment to a relationship with her that first inspired our Marianist founders, Blessed William Joseph Chaminade, Venerable Adele de Batz de Trenquelleon, and Venerable Marie-Therese de Lamourous. Reflecting the unity and collaboration characteristic of our foundation, Marianist brothers and priests participate in Mary’s mission with the wider Marianist Family that includes religious sisters and committed lay people. Bearing her name, we find in Mary an abundance of mysteries that become central to our lives. Scriptural passages involving Mary—the Annunciation, the Magnificat, the Presentation of Jesus, the finding of Jesus in the Temple, the Wedding Feast at Cana, Mary and John at Calvary, Mary with the disciples at Pentecost—shape our vision of embodying a discipleship of equals and our way of building communities of faith wherever we are. We believe Mary helps us follow Jesus, grow in His likeness, and bear his transforming grace to the world today. As Marianist brothers, priests, and sisters, we are bound by love—and by our religious vows—to her mission, her way, and to Mary herself as the mother of Christ and our mother.